Utterly Charming Historic Mississippi Condo in beautifully restored 4-Plex from 1912, sits on a lovely quite street. 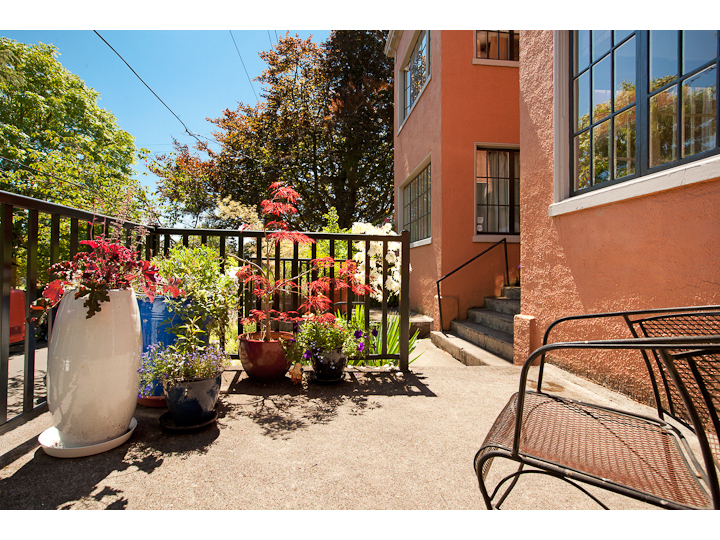 Restored in 2006, the condo retains original details including bright sunroom, large terrace, high ceilings, pocket doors, big country kitchen, fir floors, a huge storage room (possible workshop or studio), and a fenced in common back yard. A Fantastic Place to Live!